Hello, my lovely blog readers. I’ve been slacking the last year…okay let’s be real the last 3ish years on this here blog. My brain/life is all over the place. We all know there are only 24 hours in a day. It’s hard to focus where I should spend my free time. Do I blog on my business blog? Do I schedule facebook shares (that don’t seem to get any interaction – stupid facebook algarithm)? Do I schedule tweets and Pinterest shares? Do I write emails and letters? Do I waste time on the internet? Or do I just watch TV and spend time with my husband? But I know we’re all preaching to the choir. And let’s be real the last two items are really what I end up doing 90% of the time. I have 40 drafts scheduled on this blog that need to be edited and I never seem to get to them. Lately, my creative outlet has been Caligraphy/Brush Lettering. I’ve been following a semester course with The Happy Ever Crafter – Show Me Your Drills Program. So far we’ve done Drills, lower case letters, and capital letters. I’m really enjoying the daily challenges. 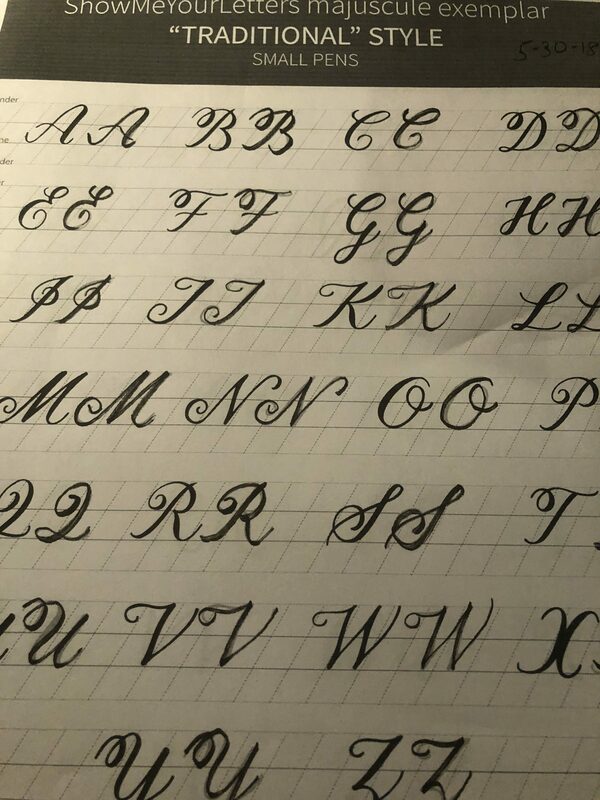 In June we’ll be working on CONNECTING the letters…I think that is going to be the hard part…because you have to get your muscle memory to match up the letters together. If you follow me on Instagram I try and post photos there every now and then. 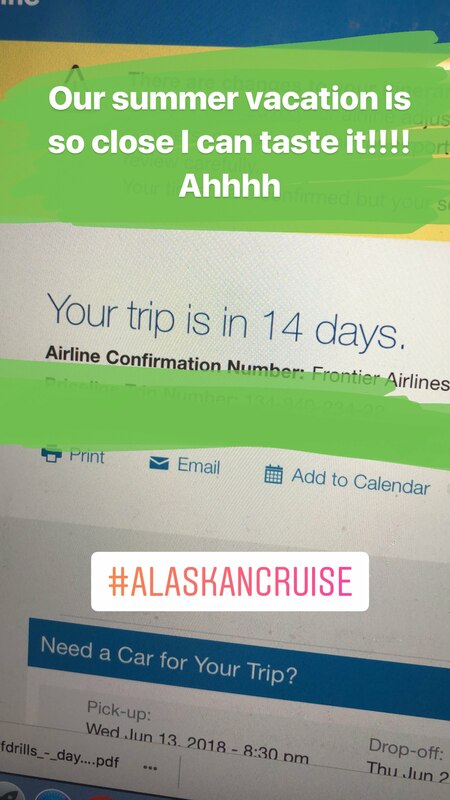 The most exciting thing going on in June is we’re going on a big family vacation to Seattle for an Alaskan Cruise!! Ahh, I’m so excited! I am so ready for a vacation. There’s about 15 of us going. It’s going to be so fun! !